Every year on January 27, Canadians celebrate Family Literacy Day, an initiative to affirm the importance of reading and engaging in other literacy-related activities as a family. And while the benefits to children of exposure to books and literacy are well-documented, less sung is just how much wisdom an adult reader can garner from children's literature. These books are not just for the kids, and they've affirm to me some of the most important lessons I've learned in my life. We all get a lot out of returning to these stories again and again. 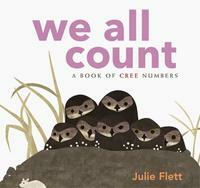 From We All Count, by Julie Flett: We All Count: A Book of Cree Numbers is the 2014 board book from Native Northwest featuring the artwork of Cree/Métis artist Julie Flett. In this basic counting book from 1 to 10, this bilingual board book introduces Plains Cree (y-dialect) and Swampy Cree (n-dialect) written in Roman orthography. Artist and author has a simple graphic style using bold and clear text to introduce counting with appropriate cultural images from contemporary Cree society. An excellent introduction to counting to ten in Cree and English using authentic Cree imagery. Choose to see the end of one thing, or the start of something new. 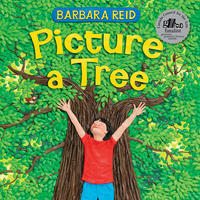 From Picture a Tree, by Barbara Reid: Picture a tree, from every season, and from every angle. These wondrous beings give shade and shelter. They protect, and bring beauty to, any landscape. Now look again. Look closer. A tree's colours both soothe and excite. Its shape can ignite the imagination and conjure a pirate ship, a bear cave, a clubhouse, a friend; an ocean, a tunnel, and a home sweet home. Its majestic presence evokes family, growth, changes, endings and new beginnings. Picture a tree—what do you see? The possibilities are endless. There is plenty enough for us all. From Julia, Child, by Kyo Maclear and Julie Morstad: Julia and Simca are two young friends who agree that you can never use too much butter—and that it is best to be a child forever. Sharing a love of cooking and having no wish to turn into big, busy people who worry too much and dawdle too little, they decide to create a feast for growing and staying young. 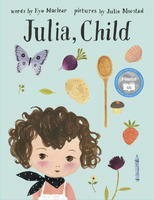 A playful, scrumptious celebration of the joy of eating, the importance of never completely growing up and mastering the art of having a good time, Julia, Child is a fictional tale loosely inspired by the life and spirit of the very real Julia Child—a story that should be taken with a grain of salt and a generous pat of butter. Remember, you don't have to stay where you are. 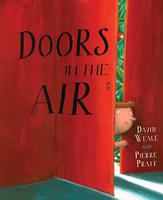 From Doors in the Air, by David Weale and Pierre Pratt: Doors in the Air is the story of a boy who is fascinated by doors. He marvels at how stepping through a doorway can take him from one world to another. He is especially enthralled by the doors of his imagination, which he refers to as "doors in the air." He delights in discovering that when he passes through these doors, he leaves behind all feelings of boredom, fear and unpleasantness. Doors in the Air is a lilting journey through house doors, dream doors and, best of all, doors in the air. Always leave a space at the bottom of your list. Just in case something unexpected comes up. From The Liszts, by Kyo Maclear and Júlia Sardà,: The Liszts make lists. They make lists most usual and lists most unusual. They make lists in winter, spring, summer and fall. They make lists every day except Sundays, which are listless. Mama Liszt, Papa Liszt, Winifred, Edward, Frederick and Grandpa make lists all day long. So does their cat. Then one day a visitor arrives. He's not on anyone's list. Will the Liszts be able to make room on their lists for this new visitor? How will they handle something unexpected arising? Kyo Maclear's quirky, whimsical story, perfectly brought to life with the witty, stylish illustrations of Júlia Sardà, is a humorous and poignant celebration of spontaneity. 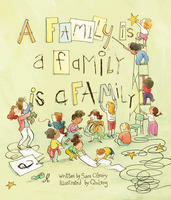 From Sara O'Leary and Qin Leng's A Family is a Family is a Family: When a teacher asks the children in her class to think about what makes their families special, the answers are all different in many ways—but the same in the one way that matters most of all. One child is worried that her family is just too different to explain, but listens as her classmates talk about what makes their families special. One is raised by a grandmother, and another has two dads. One has many stepsiblings, and another has a new baby in the family. As her classmates describe who they live with and who loves them—family of every shape, size and every kind of relation—the child realizes that as long as her family is full of caring people, it is special. Some bodies are round. Some bodies are straight. Some bodies are wavy. All bodies are great. From The Body Book, by Roz MacLean: Bodies are diverse! Let’s celebrate them all! 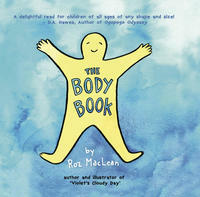 A fun rhyming book about body positivity ideal for toddlers to kids in kindergarten or Grade one. With some imagination, a broken piece can become something great. From The Branch, by Mireille Messier and Pierre Pratt: When an ice storm snaps a small girl's favorite branch from the tree in her yard, she's crestfallen. The girl's mom says it's just a branch. But not to her! “That was the branch I sat on, jumped from, played under. It was my castle, my spy base, my ship . . .” Luckily, her neighbor Mr. Frank understands. He says the branch has “potential.” “What's potential?” she asks. “It means it's worth keeping.” And so, with imagination and spirit, and Mr. Frank's guidance and tools, the girl transforms the broken branch into something whole and new, giving it another purpose, and her another place to treasure. Little girls can be superheroes. 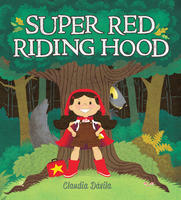 From Super Red Riding Hood, by Claudia Davila: Here's a picture book with a humorous new twist on what happens when Red Riding Hood meets the hungry wolf in the woods. In this telling, our heroine Ruby loves red berries, her red boots and especially the red cloak her grandma made for her. “When Ruby puts on her red cloak, she becomes ... SUPER RED RIDING HOOD!” Sent by her mother to collect some raspberries from the clearing in the woods, Ruby reminds herself that she isn't frightened by the chill from the darkness, the loud tapping of the woodpecker or the snapping of a twig underfoot, because “SUPER RED RIDING HOOD is never scared!” But the final test comes when she encounters a towering wolf with a growling tummy. It will take all of Ruby's superhero skills to get him to leave her alone! If you don't ask any questions, how on earth will you get any answers? 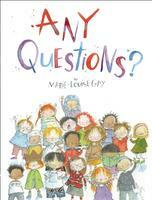 From Any Questions?, by Marie Louise Gay: Many children want to know where stories come from and how a book is made. Marie-Louise Gay’s new picture book provides them with some delightfully inspiring answers in a fictional encounter between an author and some very curious children, who collaborate on writing and illustrating a story. Marie-Louise has scribbled, sketched, scrawled, doodled, penciled, collaged and painted the words and pictures of a story-within-a-story that show how brilliant ideas creep up on you when you least expect it and how words sometimes float out of nowhere asking to be written. Warriors don't often get to show their cuddly sides. From The Princess and the Pony, by Kate Beaton: Princess Pinecone knows exactly what she wants for her birthday this year: a horse! A big horse, a strong horse, a horse fit for a warrior princess! But when the day arrives, she doesn't quite get the horse of her dreams . 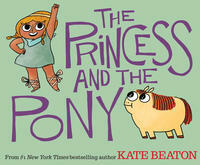 . . For anyone who's ever been saddled with a truly terrible present, The Princess and the Pony is a laugh-out-loud story of overcoming first impressions and falling in love with one unforgettable roly-poly pony. 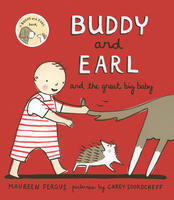 From Buddy and Earl and the Great Big Baby, by Maureen Fergus and Carey Sookocheff: Mom’s friend Mrs. Cunningham is coming for a visit, and she’s bringing her baby! While Buddy tries to explain the ins and outs of babydom to Earl, neither of them is prepared for the chaos the small and adorable creature brings with him. When the baby manages to escape from his cage—which Buddy gently suggests is really just a playpen—it’s up to our favorite odd couple to save the day. This third title in the critically acclaimed Buddy and Earl series follows a dog who likes to play by the rules and a hedgehog who knows no limits on another fun adventure in deductive reasoning and imaginative play. You can't tell birds when to sing. 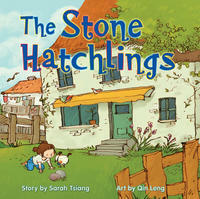 From The Stone Hatchlings, by Sarah Tsiang and Qin Leng: When Abby finds two warm, round stones in the backyard, she "adopts" them, pretending they're unhatched birds. She lovingly builds them a cozy nest and watches over them constantly until one day she imagines that with a crick and a crack, the stones hatch to reveal two gray chicks. With a flourish of her paintbrush, Abby colors the birds yellow, blue, and green, and proceeds to take excellent care of them. Poetry hides in books, yes, but also in the stars, on the moon, in tree-branch tangles. From All the World a Poem, by Gilles Tibo and Manon Gauthier: In Gilles Tibo’s wonder-filled tribute to poetry, poems bloom in fields, fly on the wings of birds, and float on the foam of the sea. They are written in the dark of night, in the light of happiness, and in the warmth of the writer’s heart. 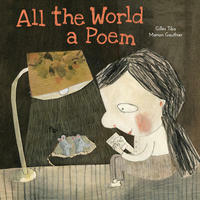 Each poem is illustrated with Manon Gauthier’s whimsical paper collage art, which is both child-like and sophisticated. Rhymed or unrhymed, regular or irregular, the verses bring not just poems but the very concept of poetry to the level of a child, making them accessible to all. If all the world is a poem, then anyone can be a poet! Dance in the kitchen, don't do the dishes. 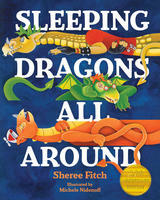 From Sleeping Dragons All Around, by Sheree Fitch and Michele Nidenoff: Sheree Fitch has read this book to audiences from sea to sea to sea in Canada, in the Himalayas, and along the eastern coast of Africa. Her first two books, Toes in My Nose and Sleeping Dragons All Around, launched her career as a poet, rhymster, and a "kind of Canadian female Dr. Seuss." Fitch has won almost every major award for Canadian children's literature since then, including the 2000 Vicky Metcalf Award for a Body of Work Inspirational to Canadian Children. She has over twenty-five books to her credit. Her adult novel, Kiss The Joy As It Flies (2008), was met with critical praise and became a Canadian bestseller within eight weeks. Fitch's home base is the east coast of Canada. She dances with dragons daily. It's your story. You're the BOSS. 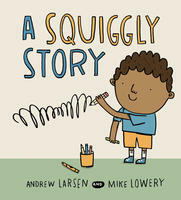 From A Squiggly Story, by Andrew Larsen and Mike Lowery: A young boy wants to write a story, just like his big sister. But there's a problem, he tells her. Though he knows his letters, he doesn't know many words. “Every story starts with a single word and every word starts with a single letter,” his sister explains patiently. “Why don't you start there, with a letter?” So the boy tries. He writes a letter. An easy letter. The letter I. And from that one skinny letter, the story grows, and the little boy discovers that all of us, including him, have what we need to write our own perfect story. Far more than any fame, enjoy the peaceful pursuit of knowledge. Treasure the wealth to be found in your books. From The White Cat and the Monk, by Jo Ellen Bogart and Sydney Smith: A monk leads a simple life. He studies his books late into the evening and searches for truth in their pages. His cat, Pangur, leads a simple life, too, chasing prey in the darkness. As night turns to dawn, Pangur leads his companion to the truth he has been seeking. 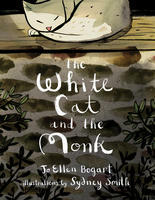 The White Cat and the Monk is a retelling of the classic Old Irish poem “Pangur Bán.” With Jo Ellen Bogart’s simple and elegant narration and Sydney Smith’s classically inspired images, this contemplative story pays tribute to the wisdom of animals and the wonders of the natural world. Gardens have to grow somewhere, after all. From Tokyo Digs a Garden, by Jon-Erik Lappano and Kellen Hatanaka: Tokyo lives in a small house between giant buildings with his family and his cat, Kevin. For years, highways and skyscrapers have been built up around the family’s house where once there were hills and trees. Will they ever experience the natural world again? I would much rather be stinky and play stick than be squeaky clean and play itchy games. 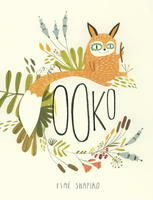 From Ooko, by Esme Shapiro: Ooko has everything a fox could want: a stick, a leaf and a rock. Well, almost everything . . . Ooko wants someone to play with too! The foxes in town always seem to be playing with their two-legged friends, the Debbies. Maybe if he tries to look like the other foxes, one of the Debbies will play with him too. But when Ooko finally finds his very own Debbie, things don't turn out quite as he had expected!